It really does! With energy insights from Sense, real users report savings that show Sense can pay for itself. Browse or search to see the simple and sometimes amazing ways users have saved. Measure solar production versus power consumption. See which appliances use the most energy and how much they’re actually costing you. Track watts like footsteps or miles-per-gallon. Built by the same team that brought speech recognition technology to market. We made it possible for people to talk to their cell phones. 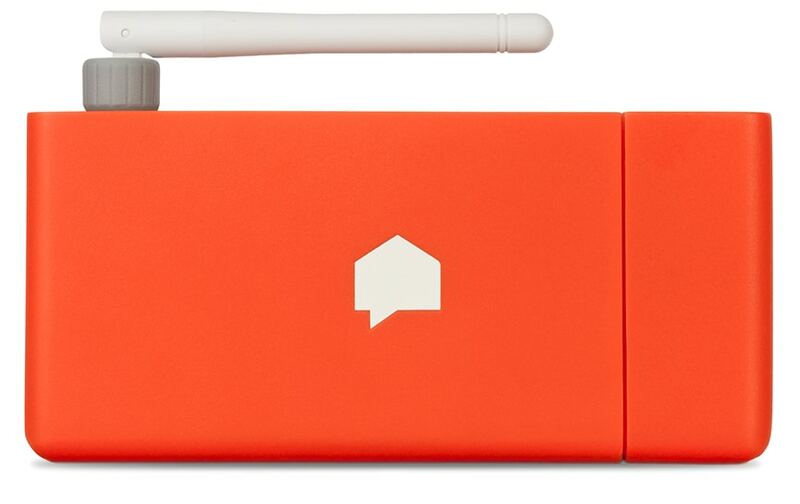 Now, we’re making it possible for people to talk to their homes. No. There is only a one-time cost for the Sense energy monitor. Use of the Sense mobile and web apps is included. New features and enhancements are free via app updates and over-the-air software upgrades. Sense should only be installed by a licensed electrician. Installation itself is quick and easy, but it requires opening up your electrical panel and connecting current sensors to the service mains. These wires are live, even with your main breaker switched off, and are thus very dangerous. Only a licensed electrician is qualified to work in these conditions. When speaking with your electrician, let them know that Sense is an energy monitor that installs in your electrical panel with two clamp-on current sensors around the mains, and a 240V breaker which Sense uses for its power supply and also to measure voltage on both legs. Unless you have a spare 240V breaker in your panel, your electrician will likely need to provide a new one. With just two clamp-on current sensors, the Sense Home Energy Monitor takes current and voltage measurements over 1 million times every second. From this incredibly high-resolution data, it derives the electrical signatures of individual devices. In comparison, most “high resolution” smart meters only take measurements every couple of seconds…hardly real time! You can read more about how Sense works in this blog post. There are devices that Sense won’t be able to recognize right away, but as more Sense Home Energy Monitors are installed across the US and Canada, our machine learning algorithms will have more data to generate models from, and the device detection capabilities will just keep growing! Most likely! Your incoming solar feed must connect directly into your main electrical panel, either through a breaker or a service-side tap. If solar is set up in a subpanel, the incoming solar feed should be within 46″ of the main panel. This will allow the current sensor cable to reach and connect to the Sense monitor in the main electrical panel. Extension cables are available in lengths of 4′, 12′, 25′, and 40′should your solar feed be further than 46″ from your main electrical panel. These extensions can be combined to achieve larger lengths, but the maximum length should be no more than 80′. For accurate solar production readings, there should not be any other live circuits connected to the subpanel. The Sense Solar Monitor is available for purchase here, or you can add solar sensors to your existing Sense Monitor for just $50. If you aren’t sure if your particular setup will work, please contact our support team. Not everything. We’re able to identify many electrical devices in typical homes and continue to expand our device detection abilities. As we get data from more and more homes, the performance and coverage of our device detection will improve. A consistent 2.4Ghz Wi-Fi connection. Sense is not compatible with 5Ghz Wi-Fi signals. Its own electrical meter and accessible electrical panel. Is a split-phase 120/240V residential panel up to 200A. Must have enough space to fit sensor clamps with HxWxD dimensions of 3.375″ x 2″ x .75″ (85.73 x 50.8 x 19.05mm), and an inside diameter of 1”. The Sense current sensors may not be able to fit around busbars. Our sensor cables are 46″ (116.84cm) long and our power cable is 36″ (91.44cm) long. Does not drop below 32°F (0°C) or exceed 122°F (50°C). Is not exposed to water or areas with high condensation (Sense complies with ANSI/IEC 60529 Rated IPx0). For more information on electrical panel compatibility, check out this support article. For information on Solar system compatibility, take a look here. Your mobile device runs on iOS or Android and has Bluetooth and Wi-Fi connectivity. What safety tests has Sense conducted? In addition to extensive in-house testing, the Sense monitor has been tested to UL and IEC standards for safety, and certified by ETL/Intertek as safe to install in your home. Intertek is a Nationally Recognized Testing Laboratory (NRTL) and the ETL mark is functionally equivalent to the UL mark. Sense, if properly installed, also meets all requirements laid out in the 2017 National Electrical Code (NEC). This means the Sense Home Energy Monitor has been through an extensive set of industry standard safety tests to ensure that it is safe to use when plugged into electrical power and safe to use inside an electrical panel. 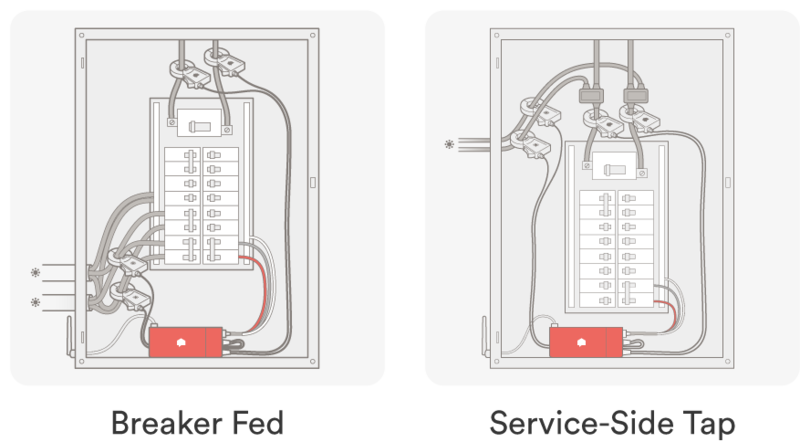 Per section 312.8, the Sense monitor and its current transformers are listed as a system, designed for field installation in a switch enclosure. Sense also meets FCC Class B standards for electromagnetic interference. All electrical devices emit electrical “noise” (in fact, the electrical noise emitted by the devices in your house is one of the things Sense uses to identify them!) — and the FCC has a strict set of limits and requires extensive testing to make sure they are not exceeded. Sense has passed those tests and should not cause interference with other devices in your house. At Sense we take security very seriously and we do everything we can to ensure your data is secure. All communications between the Sense monitor, the Sense cloud servers, and Sense apps are encrypted with AES 128-bit encryption and TLS/SSL (HTTPS). Sense uses Amazon Web Services (AWS) for cloud servers and online storage. Personally identifiable information like email address and account information is stored in physically separate systems from any application data. Physical security is managed by Amazon and access to these production systems is limited to a very small group of Sense engineering team members. Automated systems process the data collected from Sense monitors to detect devices, send notifications, generate report emails, and power the Sense apps. Sense never shares any of this data with 3rd parties without explicit user opt-in on a case-by-case basis (for example, when a utility wishes to provide discounts/services to their customers in exchange for sharing limited power data.) Sense support employees will on occasion need to access some of this data to troubleshoot issues, but again we will only access this data with explicit permission from you.